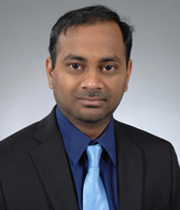 Kiriti Kanjilal completed his 5 year Integrated Masters in Economics at the University of Hyderabad in 2013 and defended his PhD in Economics at Washington State University in May 2018. His dissertation was titled Essays in Behavioral Industrial Organization and Natural Resource Economics. His research interests are primarily in the fields of microeconomics, game theory, industrial organization, environmental economics and behavioral economics. He also has experience in conducting economic experiments. He uses Mathematica, Stata and z-Tree for research. Apart from research, he also has taught courses in macroeconomics and finance during his PhD.